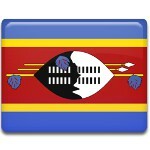 Independence Day in Swaziland is celebrated on September 6. This national holiday commemorates the independence of the Kingdom of Swaziland from Great Britain in 1968. Swaziland is a small country in South Africa, it is one of the few absolute monarchies in the world. Swaziland became a British protectorate in 1906, after the British Empire victory in the Anglo-Boer War. The protectorate was governed by a British resident commissioner. In 1921, the first legislative body in Swaziland was established. It consisted of elected white representatives. That same year, Sobhuza II became head of the Swazi nation. After the Second World War, Sobhuza with the support of the traditional Swazi leaders formed the Imbokodvo National Movement (INM) that protected the traditional Swazi way of life. In 1964, the elections to the first Legislative Council of Swaziland were held. The INM won all the seats. On September 6, 1968, Swaziland became an independent nation. Originally it was a constitutional monarchy, but in 1973 Sobhuza assumed full power. Independence Day of Swaziland, also known as Somhlolo Day, is celebrated nationwide. The main celebration is held at the Somhlolo National Stadium in Lobamba, the royal and legislative capital of Swaziland.